My brother is really COOL. He's a SUPER skateboarder and he's got MASSIVE muscles. He can run so FAST that ... he can FLY! Yes, my brother is really COOL. A humorous, affectionate tribute to brothers, perfect for adults and children everywhere. A brilliant follow-up to the best-selling My Dad and My Mum! My brother is really cool. He's a super skateboarder and he's got massive muscles. He can run so fast that ...he can fly! Yes, my brother is really cool. 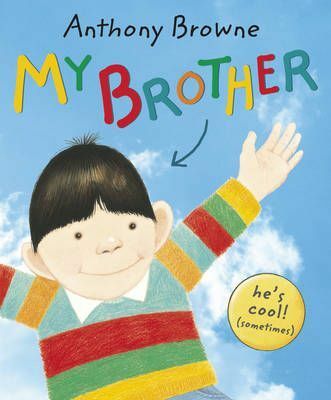 A humorous, affectionate tribute to brothers, this title is perfect for adults and children everywhere. A brilliant follow-up to the best-selling "My Dad and My Mum"!